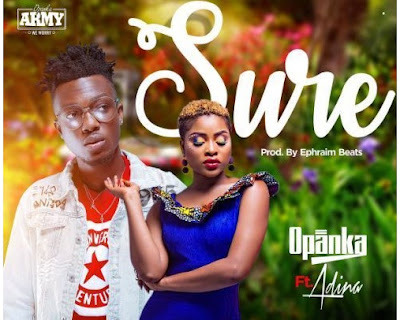 Opanka finally releases his much awaited song titled ‘SURE’ featuring adorable Ghanaian songstress Adina Thembi. Production by Ephraim Beatz.. Listen and Download Opanka ft Adina Sure Mp3 below.